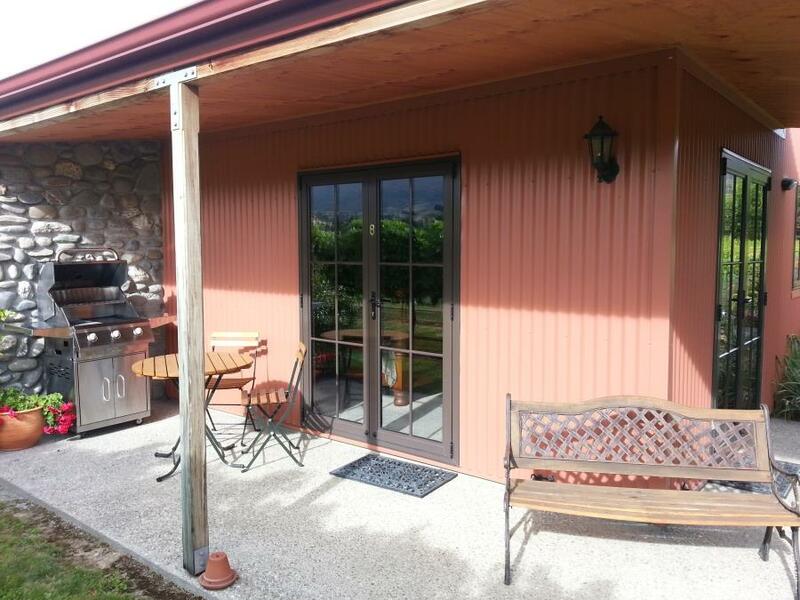 Luxury short-term accommodation in Cromwell. Welcome to your home away from home. Checkout is 10am unless previosly arranged. A late checkout fee will be charged if after 10am. River Rock Estate is motor cycle friendly. River Rock Estate is not suitable for children under 14 years. River Rock Estate is a working vineyard, guests may encounter frost fighting, spraying, mowing and other associated vineyard work. Two stand alone En-suite rooms situated among the vines. Each room has identical amenities. The Cottage "An oasis set among the vines". The Cottage is suitable for up to four adults, great for a Honeymoon couple. The setting being very secluded with two separate outside areas, one being a grassed courtyard area off the patio surrounded by a stone wall for privacy and the second being a paved area with Bar-B-Q and table and chairs for outside entertaining also surrounded by a stone wall for privacy. Complimentary Spa house use: Guests receive one complementary use of Spa House during there Cottage stay. Continental Breakfast Hamper: (Per person) $21.5 per person per night or $25 with bacon and eggs included for guests to prepare in their preferred way. New edition is a full size Plunge Pool/Swim Spa for guests to use. Also available for guests two hire is our private Spa House.